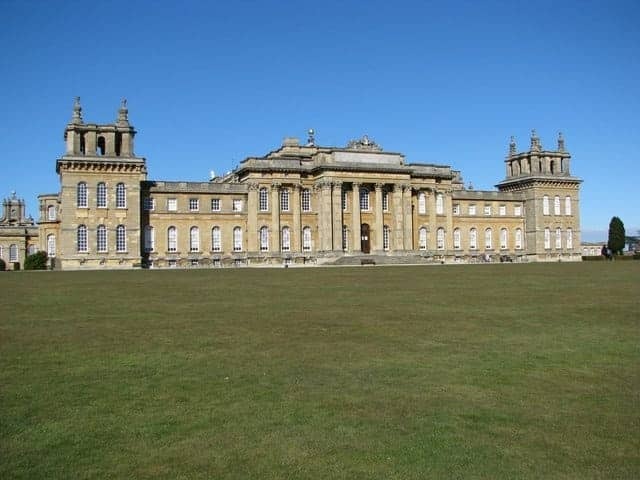 Blenheim Palace is a monumental country house located in Woodstock, Oxfordshire. The palace, one of England's largest houses, was built around 1705 and is a UNESCO World Heritage Site. It is designed in the rare English Baroque style, using masses of stone to create a sense of overwhelming strength to magnificent effect. The house is still a family home as well as mausoleum and national monument. Being the birthplace of Sir Winston Churchill there is also an exhibition dedicated to him. The palace is linked to a pleasure park of tourist attractions by a miniature railway.